It happens every year – you overeat around the holidays, you feel bad about it and you make a New Year’s resolution to get in shape. The problem is, many people who make that resolution fall short before Spring even hits. 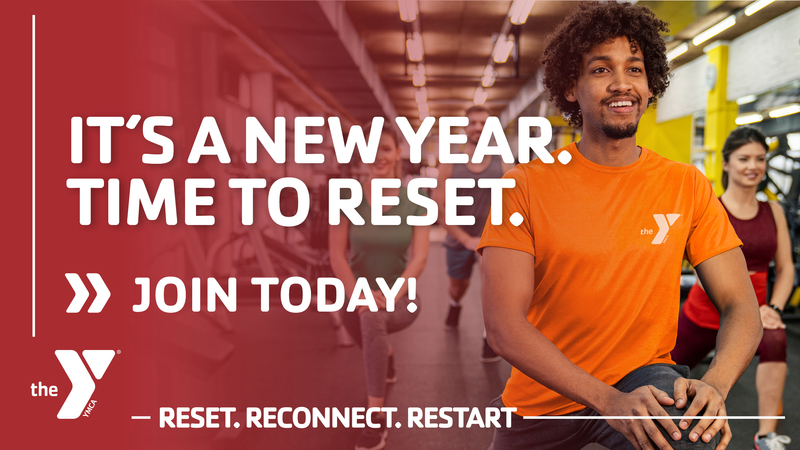 This year, resolve to stick to your resolution! It’s not easy to do it alone but it can be easier if you stick to these five simple tips. Take these tips and post them on your fridge or set a reminder in your phone once week to reflect on them and assess your progress. Best of luck in your journey to wellness in 2016! 1. Don’t Do it Alone: Find a friend, relative or neighbor to keep you honest and motivated. You can boost each other up on those days when you would otherwise not work out, or eat unhealthy. Join a class together to meet even more like-minded people. The Greater Naples YMCA offers classes to meet every age and activity level. 2. Invest in Yourself: You are more likely to stick with something if you have invested time and money into seeing it through. To help keep the cost low and motivation high. Don’t forget it’s about investing the time too! Schedule your workouts and your meals on Sundays and you’ll be less rushed to find time to squeeze them in during the week. 3. Keep Realistic Goals: If your goal is weight loss, aim for a loss of 1lb a week to start. Losing anything more than 2-3lbs in a week is unsafe. If you’re building muscle, forget the scale for now and focus on how you feel. If you want one-on-one help, the Greater Naples YMCA has personal trainers who will gladly help you shape your goals for 2016! 4. Get the Whole Family Involved: Instilling good habits at an early age is essential to leading a life of wellness. It begins with healthy eating habits, staying active and taking time to talk about goals as a family. The YMCA can help you develop a plan for your whole gang that will work with your schedule, needs and budget. Family wellness and goal assessments are now standard with all new memberships at the Y. Plus, child watch is always free when parents are on campus. Kids can get homework help, play games, make new friends or take exercise classes of their own! Make it all about family wellness in 2016! 5. Switch things up: You will bore yourself. Period. Sticking to one routine will dampen even the most motivated of souls. Set a calendar of when to freshen up your routine with new classes and exercises. It will make the time fly and keep you looking forward to trying new things. The Greater Naples YMCA has a downloadable app for iOS and Android devices that will put the latest schedules at your fingertips. Check out what is available and try something new at least a few times per month! Above all else, remain positive. If you find yourself slipping from goals don’t give in – give us a call at the Y! We’re here to help.